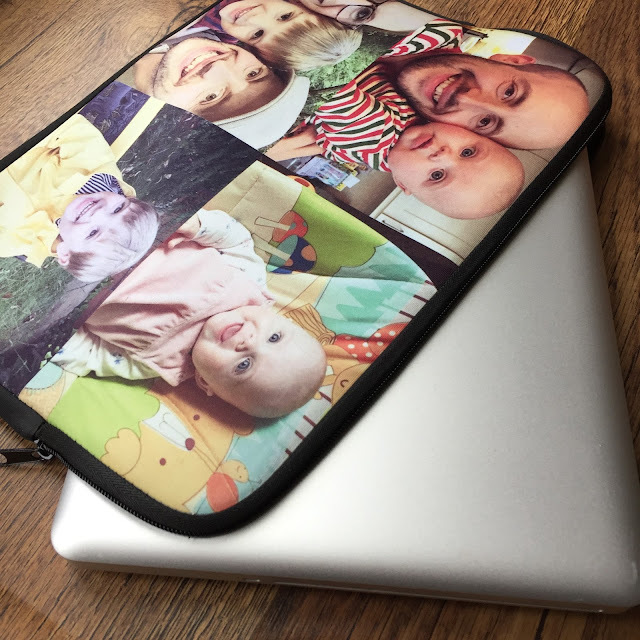 Last week I was sent a stunning personalised neoprene soft laptop sleeve for my MacBook laptop from Case Company, and I'm excited to share it with you today. On the Case Company website you can order a range of hard and soft cases for various gadgets - from phones of all makes/generations to iPads, iPods and laptops, and even a range of wooden cases. Ordering from Case Company was such an easy process - you simply choose which device you are looking at protecting - select it from the list (I wanted a case from my 13 inch macbook pro laptop), next you choose your design: you can either select one of Case Company's original designs, or you can import your own design/photos. 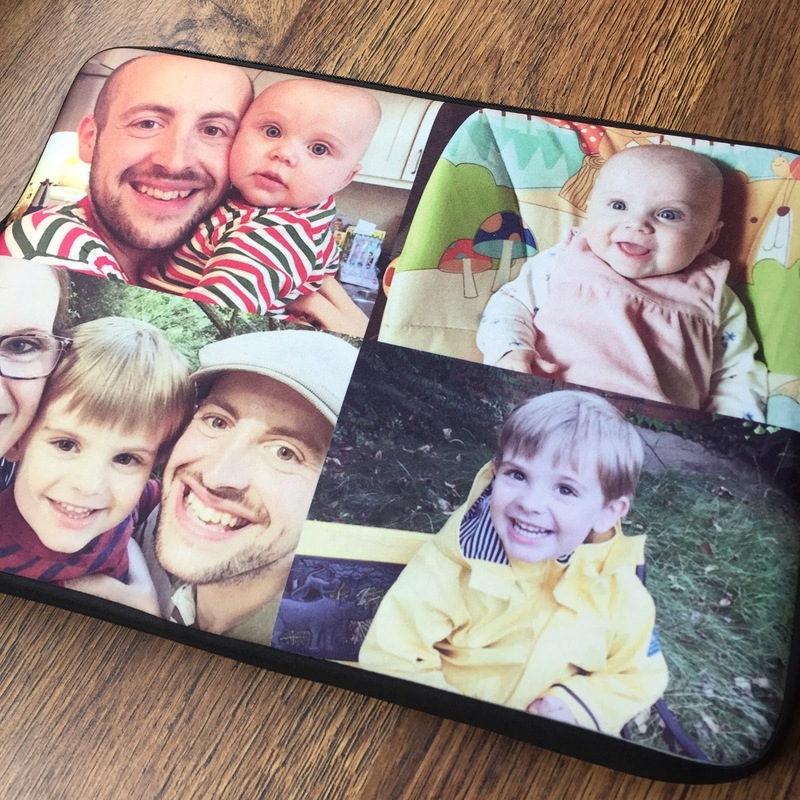 I knew I wanted to personalise my case with photos of my family, and it was super speedy to connect Case Company's website up to my Instagram account, and take the photographs I wanted to use directly from there. 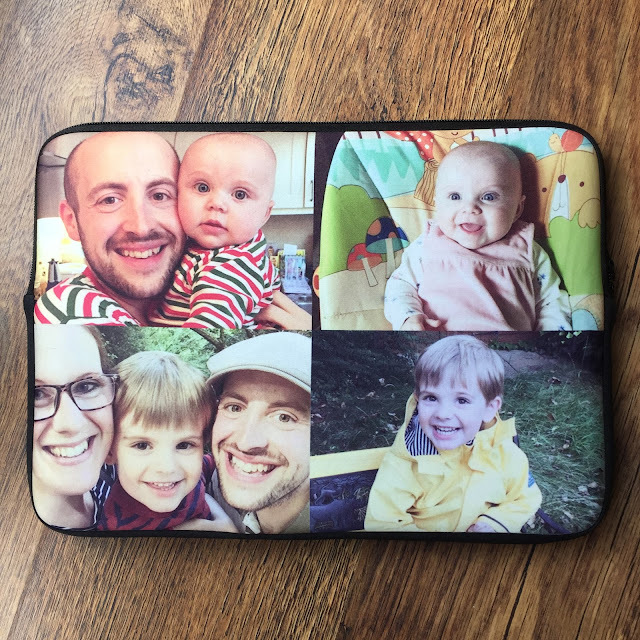 I'd designed my case and sent the order off in just a few minutes, fabulous! No messing around, no faffing, nothing complicated - perfect. My fabulous neoprene laptop sleeve from Case Company. I selected four of my favourite family photos to make a photo collage for my sleeve - and simply drag and dropped my images into place. 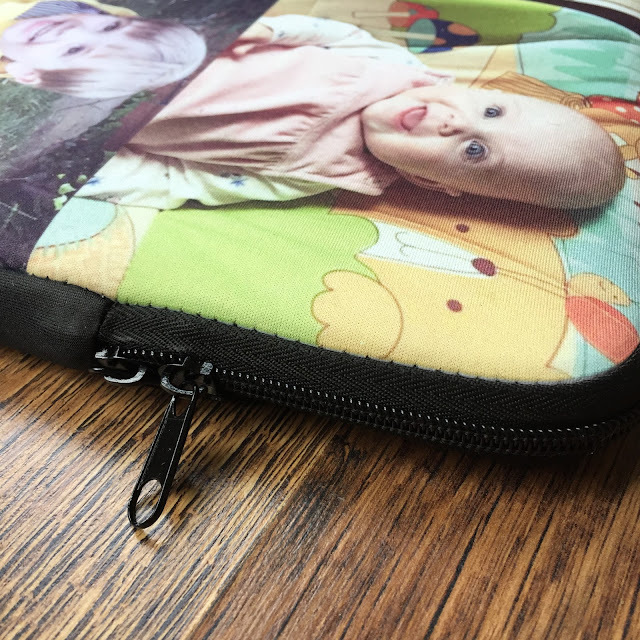 I was thrilled with the final product - the quality of the print and colour in the photos are really good, the neoprene material is strong and the case is very well made. Awww, a beautiful reminder of what a lucky lady I am to have such a wonderful family. I wanted a laptop sleeve for when I transport my laptop around and about for work meetings - I wanted something slimline and non-bulky, something light but ultimately protective - and the neoprene sleeve ticked all those boxes for me. Well made, vibrant colours: I love my new laptop sleeve! The case is the perfect size for my 13 inch laptop, and I'm eager to get out and about now to have an excuse to use it! Carrying my family wherever I go! 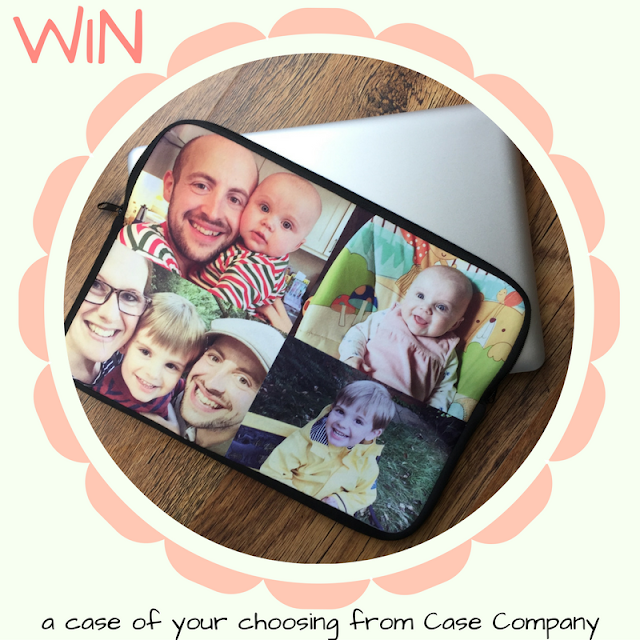 If you'd like to be in with a chance of winning a case of your choosing from the Case Company website then head over to my Instagram account here ( @lucybishop2012 ) to enter my simple Instagram giveaway! The giveaway ends on the 30th November 2016 at 11:59pm.